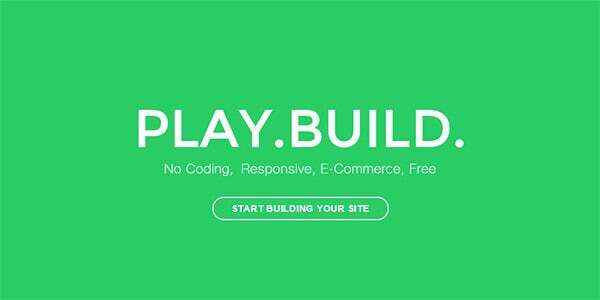 Building and selling your first website design should be simple. Your customers are hiring you for your design skills not your coding skills, so it is essential that the building process does not get in the way of the desired result. (Basics to Design a Website). 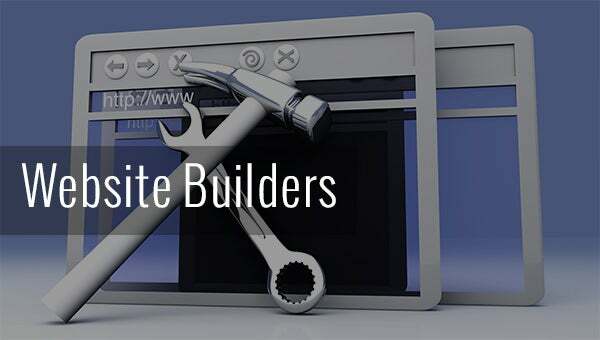 If you start looking at the different website builders it is easy to become confused. It is better to make a list of essential features and another list of desirable features before you even start looking at the different programs. You can rearrange features between these two lists depending on your own priorities. IM Creator recently launched its new-age product, IM XPRS. The premise behind IM XPRS is creating a fully responsive website which is also SEO optimized and can be considered as a WordPress alternative. IM XPRS is just that. Using wonderful feature-set and a new technology called POLYDOMS that enables you to build sophisticated pages from building-blocks that you can tie together. There is a built-in hosting option, new fonts, icons and images added every month and it is affordable at $5.95 per month with discounts available for professional designers. Sitecube has a very attractive website with good template choice. It also lets you build Flash websites as well as HTML 5 ones, but remember that Flash is not compatible with iOS iPhones, iPads and iPods. There are built in add-ons such as appointment calendars, an events tool and media player. (Html5 Tutorial). There is no Drag and Drop editor and no white-label customer interface. The cost is $59 for one site per year. 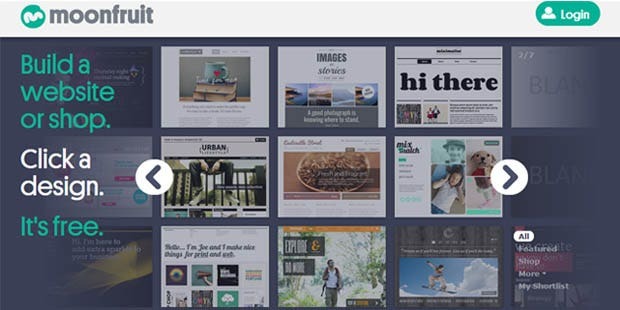 WiX has some impressive templates and a drag and drop editor. Sites are built using HTML5 but there is a problem with loading speeds and many users are unhappy. Pricing starts at free, but the most useful plan with is $19.90 per month for one site. Free plans have obtrusive WiX ads. The Weebly website only reveals itself after you register and log in. There is a choice of about 100 attractive templates, all of which can be customized once you do log in. This is fewer templates than most website builders offer. There is a drag and drop editor, but no white-label dashboard. 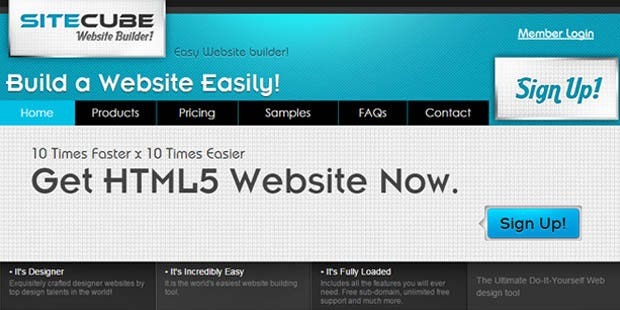 The service is aimed at people building their own sites rather than at professional designers. Pricing information is not easy to find either. There is a free option that displays a small Weebly ad in the footer,the Pro plan is $8 per month for one site. Be sure to buy your domain elsewhere because Weebly’s prices are high at $39.95 for a .com domain for 1 year. No comparison of website builders would be complete unless it included the elephant in the room, namely WordPress. WordPress is the world’s most-used website builder. There are thousands of free templates (called themes) and thousands more premium ones. wordpress themes are sometimes difficult to customize unless you have a coding background. This is not a drag and drop, easy to use solution and it will take hours rather than minutes to get your show on the road using WordPress rather than the best of the site-building programs above. As a designer the WordPress dashboard available to your customers is good, it does not need re-branding. The problem is that you cannot exercise your design skills unless you first learn how to code a site. Costs are involved for domain names and hosting, though these are lower than any of the website building programs. Hosting costs around $6 a month on popular webhosts and that usually gives you hosting for an unlimited number of sites. Confused? Too much information to digest?A list of the best website builders like this one can make your decision process easier, but you’ll probably need to experiment with some platforms to make a real educated decision. Your decision may be different from another designer’s, but every professional chooses his own tools from the top brands of quality tools on the market. Every designer’s choice is valid if it is based on solid information. Which is your favorite professional website design software? What features make it stand out? Please share your thinking using the comments box below.